From relaxing on the beach on the Fourth of July to hiking in the mountains, July is one of the most popular months for a longer vacation. Couples can choose from romantic inns, relaxing spas and golf resorts. 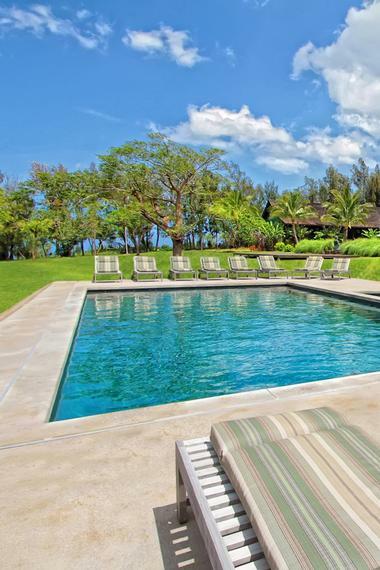 Families often put lakeside or beach destinations like Hawaii on their dream list in the summer, where kids can splash in the water and parents can enjoy some time to themselves. Trips to Europe should not be overlooked as well - you can enjoy warm weather and long days. Our list of July vacation ideas includes great options in the U.S. and around the world. 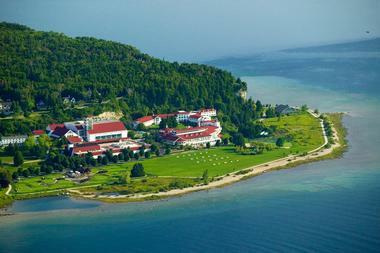 Mackinac Island, located at the intersection of Lake Michigan and Lake Huron, is a popular summer tourist destination. The entire 3.8-square-mile island is a National Historic Landmark. 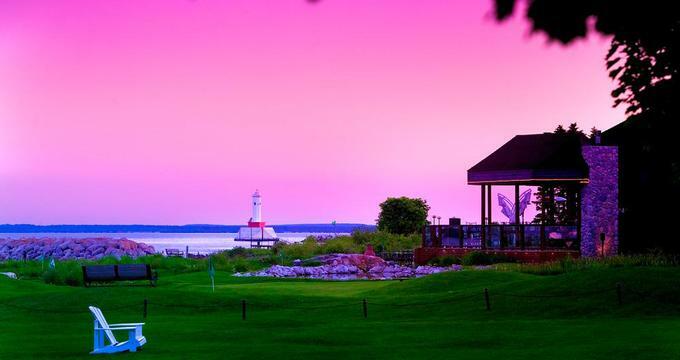 Mission Point Resort on Mackinac Island offers families a diverse selection of activities, accommodations and restaurants where kids under 12 eat free with a paying adult. The Kids Club, open to children 4 - 12 years old, is the place to learn to play croquet, go swimming in the pool, build a kite, hike and play miniature golf. Resort activities include golf, spa treatments, ghost tours, tennis, bocce ball and biking. Family travelers have access to spacious two-bedroom suites, some with private hot tubs. If you are planning a trip to the Adirondacks in New York, The Sagamore, a luxury resort on Lake George, offers golf, spa services and a program for kids. Children under 4 may attend with a hired babysitter. The Teepee, the children's program, offers a variety of supervised activities, including an authentic 18-foot teepee, outdoor playground, beach, clown shows, nature walks, Olympic games, sand sculptures and tennis. The Teepee Club is available seven days a week from July 1 through Labor Day and during Thanksgiving, Christmas, New Year's and President's Week. You can choose from a half-day program ($25 per child), a full-day program ($45) or the evening program ($45). For reservations, contact the hotel concierge at 800-358-3585 Ext. 5100. 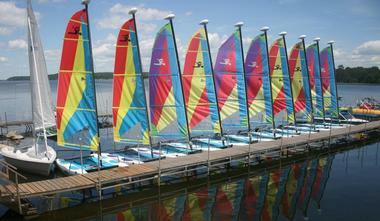 Tyler Place Family Resort is an all-inclusive summer getaway located on a scenic lake in Vermont. 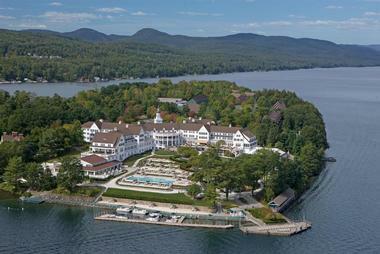 About four hours from Boston, the resort is a playground for kids and adults. Children participate in age-specific programs and activities, including swimming, fishing, rock climbing, tennis and kayaking. Parents can take yoga classes, archery, go biking, practice golf on the driving range, or relax in a hammock. Families are accommodated in 70 cottages and suites featuring family-friendly design with separate parents' and kids' bedrooms, screened porches and plenty of privacy. 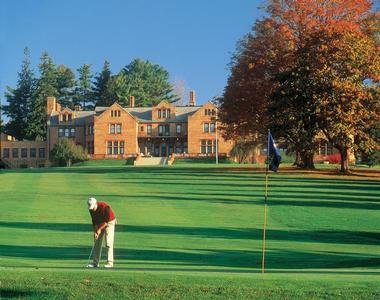 Get away for a weekend of relaxing treatments at the spa, championship golf in the summer and cross country skiing in the winter at Cranwell Resort in the Berkshires. Measuring 35,000 square feet in size, wellness center is one of the largest in the Northeast. 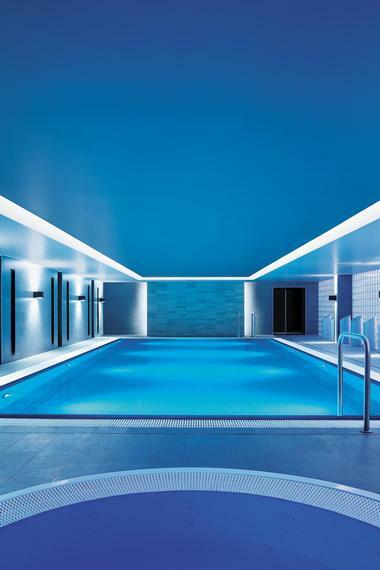 In the winter, book one of the 58 rooms which are linked to the wellness complex via heated glass corridors. There are 16 treatment rooms, fitness center, a 60-foot indoor pool and 20 foot high glass windows with views of the Berkshire Mountains. In addition to its beautiful 18-hole golf course (greens fees from $94 on summer weekends), there is also the Golf Digest School. The golf school offers a great selection of practice facilities, including target greens, bunkers, putting areas, driving fairways, chipping/pitching stations and three practice holes, giving you a chance to improve your game. In the winter, the property offers 6 miles of scenic cross country skiing and snowshoeing trails. The Ski Center offers Rossignol Ski Touring rental equipment and Tubbs Snowshoes. Beginners, weekend golfers, and advanced players can all improve with practice and a little help from professionals. Hone your skills at the 60-acre learning complex. Facilities include a driving range, three video viewing rooms equipped with the state-of-the-art computerized analysis systems, an indoor filming studio, and an 18 hole course originally built by Wayne Styles and John Van Kleek in 1926. Clinics are offered in one, two and three day courses. Rates range from $399 for a 1-day commuter only class to $1,299 for a 3-day course. Contact the resort for more information on the school. The property is located 150 miles from New York and 135 miles from Boston, which makes it a great weekend getaway from both cities. The resort is especially popular with couples in the summer. Weekend rates start at $225 per room in the winter; from $325 in the summer. If you can get away during the week, rates are much lower, starting at $165 in the winter; from $265 in the summer (800-272-6935, 413-637-1364). 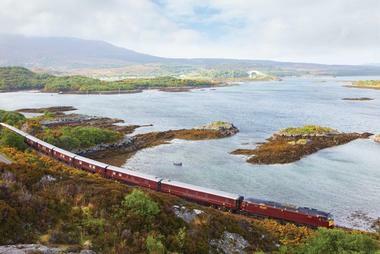 The Royal Scotsman and Hebridean Island Cruises team up to offer the ultimate Scottish adventure. Visit the Highlands on the historic train, touring historic sites such as Ballindalloch Castle, Rothiemurchus and Glamis. Then enjoy a five- or seven-night cruise of the remote Scottish Isles. Different itineraries will be offered throughout the year, including stops in Tobermory (Mull), Stornoway (Lewis), and the Isles of Harris, Barra and Skye. The train winds through the wild and romantic Scottish countryside, featuring deep-green forests of pine, remote castles, small villages and meadows dotted with sheep. Guests disembark to visit handpicked attractions and receive personal tours by a local laird. Hebridean Princess accommodates 50 guests and has a feel of a private yacht. A staff of 38 provides luxury service that has been so well received that 65% of all guests are repeat bookings (+49 (0) 221 33 80 300). Hotel Captain Cook in Anchorage, Alaska, has three restaurants, a fitness club and meeting facilities. Explore the stunning beauty of Alaska from this comfortable base in Downtown Anchorage on your adventure. There are 547 rooms, including 96 suites overlooking the Cook Inlet, Chugach Mountains, the city and Mt. McKinley. Treat yourself to an in-room massage offered by the hotel's massage therapists. Choices include Swedish, deep tissue and sports massage that has been shown to reduce stress, lower blood pressure and improve circulation. The Captain's Deck on 16th and 17th levels of Tower II offers its guests extra perks, including full breakfast, nightly hors d'oeuvres, and a well-stocked juice and soft drink bar in the lounge. Rooms start from $265 per night (907-276-6000, 800-843-1950). 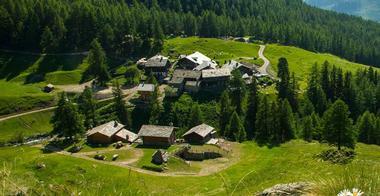 Hotellerie De Mascognaz is a unique mountain getaway in Valle d'Aosta, surrounded by mountain peaks and meadows. Plan a unique adventure to Italy. The chalet has a relaxation center with a Jacuzzi, sauna and Turkish bath. Massages and Shiatsu treatments can be booked in advance. Activities in the area include skiing in the winter, and hiking, rock climbing and mountain biking in the summer. The inn has seven double rooms furnished in a cozy rustic style with handmade beds and warm fabrics. Guests looking for more space can reserve the Monte Rosa Suite, a transformed antique barn with a fireplace and stone and wood decor. Restaurant Lo Peyo serves regional dishes in rustic surroundings (+39-0125-308734). 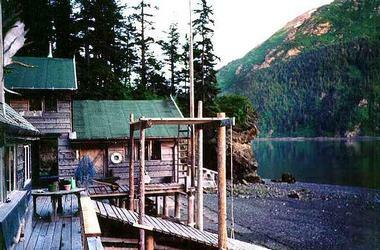 Sadie Cove Wilderness Lodge in Alaska is an adventure getaway where eco-counscious travelers can relax surrounded by nature. The hotel is located on a privately owned, remote beach inside Alaska's Kachemak Bay State Park, 10 miles by boat from Homer, Alaska, the "Bear Viewing Capital of the World." The property was built from driftwood that was milled by hand into lumber. The property is run entirely on wind and hydro power. The property consistently receives rave reviews for its ambiance and service. Rates start at $450 per guest per night, including meals and activities (888-238-7234). The Lodge at Stillwater is an outdoor adventure getaway in Heber City, Utah, featuring an outdoor heated pool, three jacuzzis, and fitness facilities. The Heber Valley Railroad offers a tour of the area aboard a steam-powered train. There are 174 rooms, studios, one-, two- and three bedroom suites. Travelers can prepare their own meals in the fully equipped kitchens. Guest accommodations have a fireplace and internet access, so you don't exactly have to rough it on your adventure. Room rates start at $169 per night (435-940-3800, thestillwaterlodge.com). 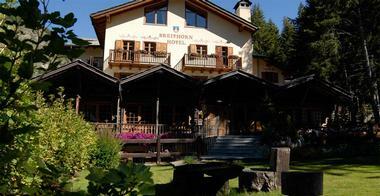 The Breithorn Hotel is located in northern Italy in the town of Champoluc in the famous Valle d'Aosta. Summer activities include mountain biking, rafting, rock climbing, and paragliding. There are 31 guest accommodations. The Double Deluxe Rooms are located in the historic section and are filled with antique wooded furniture. The Prestige Rooms are ideal for a family or a group trip. They are located on the fourth floor and have a spacious layout that can accommodate four people.The Junior Suite has a fireplace, wood paneling, DVD player and hydromassage. The restaurant serves a homemade buffet breakfast, as well as lunch and dinner, along with over 150 different choices of wine. The easiest way to get there is by car which you can rent at the airport in Milan, Venice or Triest. A Classic Room with breakfast is €75 in the summer season. Prestige Rooms start at €110, including breakfast (+39-0125-308734). Stay at the stylish Franz Klammer Lodge in one of the luxury two- or three-bedroom residence. Telluride in Colorado is famous for its winter and summer festivals, great skiing and many other outdoor adventures. The property is near the ski lifts, golf course, shopping and dining. The two-bedroom residences measure 1,400 square feet in size and the three-bedrooms measure 1,800 square feet. You will have your own living and dining area with a natural gas stone fireplace, a fully equipped kitchen, two master baths with jetted spa tubs and a private balcony. While the lodge does not have its own restaurant, you will be near many cafes and restaurants in Mountain Village. There is pre-arrival grocery shopping service which lets you stock your kitchen with your favorite items. 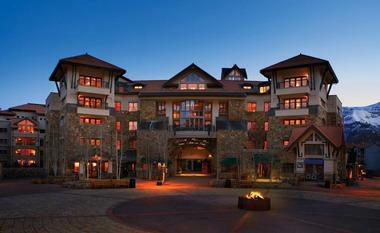 Packages start at $475, including lift tickets, complimentary airport transfers and other perks. 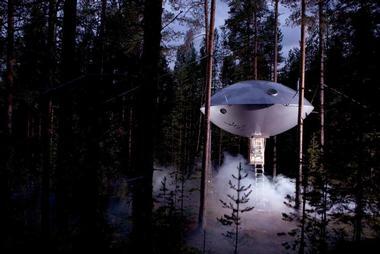 When you set your eyes on this cleverly-designed guesthouse at Treehotel in Sweden you will think that aliens really have landed. A miniature version of the spaceship that picked up ET, the UFO guesthouse has two bedrooms, a bathroom and a living area. This is a fun getaway for families as well as couples looking for something different. The property is located in Lule River valley in Sweden, surrounded by beautiful forests and a scenic river. The hotel has a restaurant, bar, sauna and relaxation area, TV, and internet. There are several uniquely designed guesthouses, all elevated 4-6 meters above ground. The buildings are sustainably built in harmony with the surrounding nature by the leading Scandinavian architects. There are a total of 24 guest rooms to choose from, each more imaginative that the other. All of the furniture and lighting is custom designed. Guest accommodations have environmentally-friendly combustion toilets and water-efficient sinks. Depending on which room you book, it will be accessible via a ramp, bridge or electric stairs. This is a year-round adventure destination with seasonal activities that range from hiking, fishing and moutainbiking in the summer to dog sledding and northern lights in the winter. If you time your visit right, you can experience the spectacular fall foliage display around the historic Lule River. The tree sauna and the healing steam baths offer an experience not to be missed. Rates start from about US $575 per night. Look for seasonal offers for families and couples on the hotel web site (+46 (0)928-104 03). Salish Lodge and Spa is located at the foothills of the Cascade Mountains, 30 minutes from Seattle, Washington. 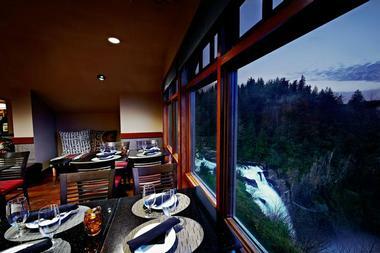 The property offers scenic views of Snoqualmie Falls, comfortable rooms, two restaurants and a spa. The spa provides a range of treatments, including body massage, aromatherapy, hand and foot therapy, a mud wrap treatment, hot stone massage and facial treatments. 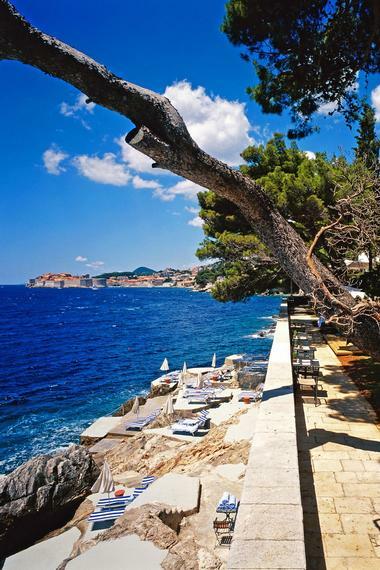 An elegant 5-star hotel in the heart of Croatia, Villa Dubrovnik’s boutique luxury experience is a combination of seaside fun and old city charm. The hotel caters to guests with tailor-made services perfect for a romantic vacation away – especially with the wondrous sea view and private balconies/ terraces all 56 residential units offer. Visitors can spend their vacation lounging on the beach, taking a speedboat to the Island of Lokrum, walking around and experiencing the Old City, or unwinding in the Villa Spa Beauty & Wellness Center. Anything and everything can be made-to-measure for the guests of Villa Dubrovnik. If you are looking for a unique 4th of July vacation idea, Croatia is a beautiful place to go. In the faraway town of Arraiolos lies Villa Extramuros, a resort in Portugal filled with historical treasures, unspoiled nature, and a quiet lifestyle that most people wouldn’t recognize because of the hustle and bustle of their daily lives. 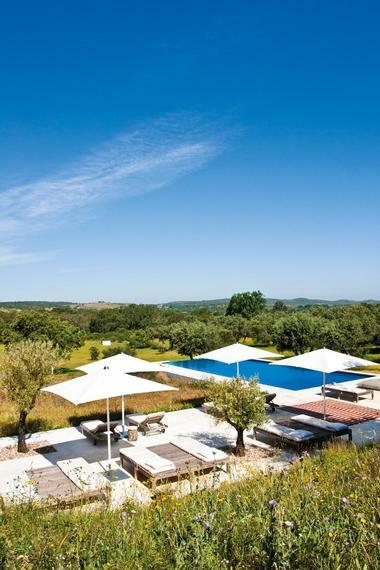 Decorated in contemporary Parisian style, Villa Extramuros lies on five hectares covered with olive and oak trees. Here, flocks of sheep, birds, and other wildlife roam free in their unaltered natural habitats. Guests can spend their time exploring the surrounding garden, relaxing, reading a book, or even having a private picnic. Other attractions in and around the resort include a gym, bicycle rides, horse rides, watersports, a spa, or taking a dip to cool off in the pool. There are various excursions surrounding the resort for guests to take part in, from playing a round of golf to visiting a winery or taking a guided tour of the area. 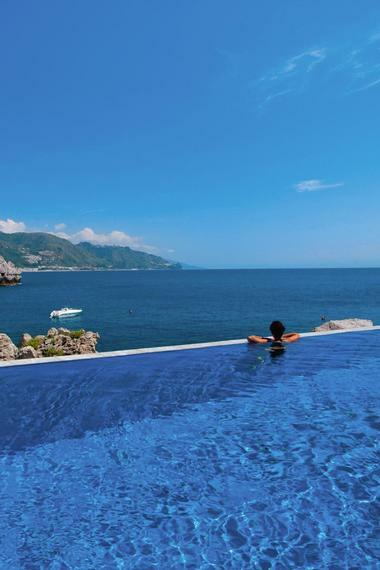 Guests can lounge on an exclusive beach overlooking the cerulean sea at Belmond Villa Sant’Andrea, a retreat on one of the most beautiful coastlines of Italy. Retaining the charm of the private residence it was built to be in 1830, the hotel is minutes away from Taormina, where the city center is filled with shopping and entertainment venues. But from the retreat, guests wouldn’t be able to tell – the private beach combines the sound of lapping waves and the feel of warm sand, making it seem as though Belmond Villa Sant’Andrea is a million miles away from civilization. Beach cabanas, an infinity swimming pool, fitness center, and boat excursions are all available for guests to partake in. 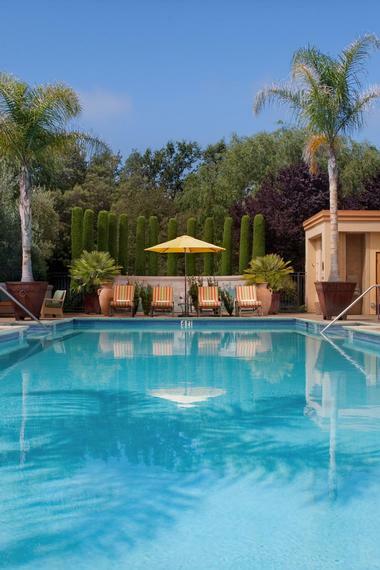 Villagio Inn & Spa is a family-owned boutique hotel in Napa Valley, California. In operation since 1985, the award-winning hotel is in the heart of wine country, which is home to over 300 wineries. Guests from all over the world come to enjoy wine tours and fine cuisine, two things Napa Valley is known for since acclaimed chefs from all over have come to this haven to open their restaurants. Outdoorsy guests will enjoy cycling, historic walks, hiking, and hot air balloon rides. But to have a good time at the hotel, guests never have to leave the premises, which has numerous amenities, including a secluded heated pool and lounge area, tennis courts, and a fitness center. The hotel spa, a prominent establishment of its own, is designed for privacy, comfort, and relaxation, so guests can indulge in a body treatment, facial, or nail treatment. The Hollywood Walk of Fame in front, the iconic Hollywood sign behind – the W Hollywood Hotel is everything you imagine your Hollywood accommodation to be. Replete with glamour and excitement, the hotel is situated amidst the coming and going of celebrities and the aura of fame that is Hollywood. Filled with accommodation and amenities fit for a star, the hotel allows guests to choose from an array of accommodations that are fittingly named as the Wonderful Room, Spectacular Room, or the Hollywood Wow Suite. 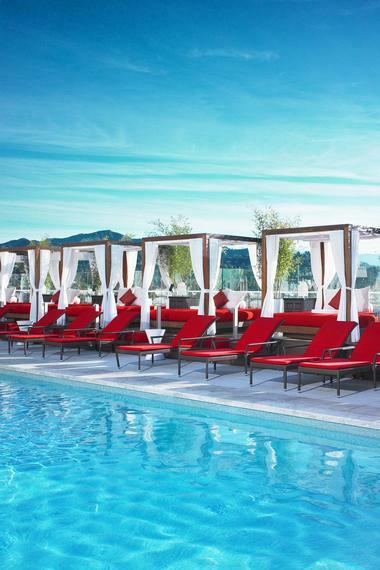 Guests can hang out at the rooftop WET Deck fitted with pool, bar, and lounge area, unwind at Bliss Spa, or boost their energy at the FIT fitness space. An abundance of excursions can be found around the hotel, and the concierge is more than happy to arrange them for guests during their stay. Thailand is filled with wonder and amazement, and the Zeavola Resort captures it all as a luxury resort on Phi Phi Island. The atmosphere allows guests to unplug from their worries and connect with nature; tranquil white sand beaches, lush tropical greenery, and sparkling blue waters all connect to revive the senses of the hotel guests. Guests can experience the simplicity of a rural life typical of the villages of Thailand with teakwood suites amidst nature. For a more indulgent experience, the hotel has relaxing spa treatments, authentic cooking classes, and exploration adventures. Shangri-La Hotels comprise a renowned chain of luxury hotels and resorts that can be found all over the world. Each is surrounded by amazing views, and the Shangri-La Hotel in Sydney is no different. Guests are treated to a stunning view of the Sydney Opera House and Harbour Bridge – a spectacle of color and beauty. Right in the heart of Australia, there is much to do outside the hotel, but even more to enjoy inside: spa treatments at CHI, a meal at one of the many dining options the hotel has, or just opportunities to relax and enjoy the lovely accommodation the hotel is fitted with. The island of Santorini is a magical place filled with beauty, and Mill Houses captures that beauty in and around its hotel. 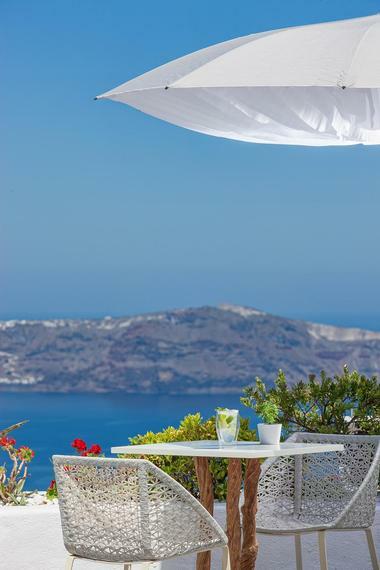 The hotel lies on a stately cliff overlooking the azure Aegean Sea. Focusing on the luxuries of life, Mill Houses is dedicated to offering their guests a unique stay, and they start by personalizing guests’ experience before they even arrive. There are numerous activities for guests such as diving, snorkeling, hiking, trekking, and horseback riding; guests can even hire a yacht, go on a private limousine tour, enjoy a wine tasting tour, or book a helicopter ride. They can also indulge in one of the many amenities the hotel offers including private massages, make-up and hair dresser services, scheduled private candlelight dinners, babysitting services, and complimentary drop offs to and from the airport, among other things. 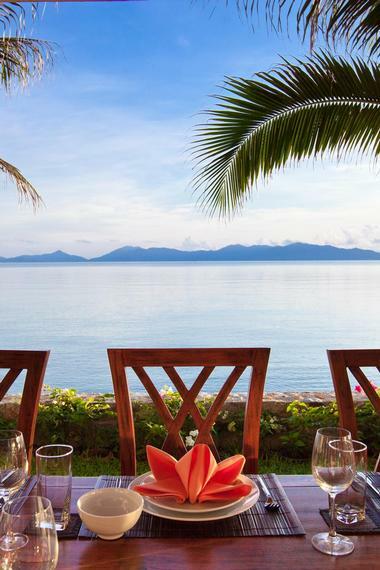 Offering an authentic Thai experience, Miskawaan Luxury Beachfront Villas is privacy, luxury, and authenticity all wrapped in one. 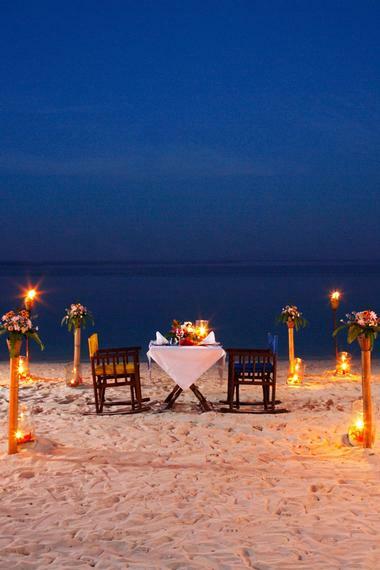 The beachfront property is located on the magical Mae Nam beach where emerald blue waters lap on the fine white sand. 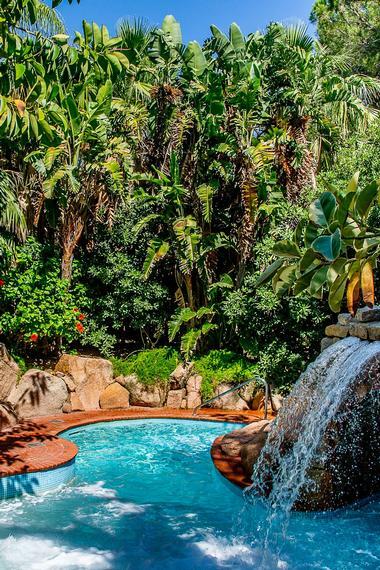 There are different villa styles that meet the needs of guests whether they’re traveling as a couple, with a group of friends, or with their entire family, making it great for family vacations, reunions, or wedding celebrations. Water skiing, jet skiing, wake boarding, paddle boards, sailing, and banana boat rides are all available at the villas, and a complimentary kayak is available for all guests to use during their stay. Constructed in 1910, Lumeria Maui is the oldest wooden structure in Maui and has been used for a number of purposes since then, including a house for aging plantation laborers, WWII military housing, and a women’s college dorm. Now, it is a restful retreat that calms and relaxes guests by channeling the essence of Hawaii’s islands. Guests are welcome to embrace the culture and heritage of upcountry Maui at the resort with its island-themed décor, yoga and wellness retreat program, and authentic spa services. There are also various adventure and educational activities for guests to take part in such as horseback riding, paddle boarding, whale watching, deep sea fishing, kayaking, and cycling. Forte Village is located in the heart of Sardinia, the second largest island in the Mediterranean Sea. Guests can enjoy the stunning views or explore the lush nature that surrounds Forte Village. The ultimate luxury resort for couples, families, and larger groups, the establishment boasts many types of accommodations: suites, bungalows, villas, or rooms and suites within the hotel. Accommodation can be picked according to various characteristics, one of which is the view. You might see the sea, the garden, or secluded woods, and guests can choose to their liking. Delicious food, renowned spa, and impeccable amenities join together to create the perfect vacation. If you are looking for a quick weekend getaway from an East Coast city, head to The White Elephant Hotel on Nantucket which has rooms with harbor views and a relaxing spa. The Basin Harbor Club on Lake Champlain in Vermont offers 700 acres of outdoor fun, including golf, tennis, kayaking, fishing and many other activities. Take in the cultural sights in Edmonton, Canada while staying at the stylish Fairmont Hotel Macdonald which has a spa, pool and a separate children's pool. A summer getaway at Canyon Ranch Berkshires will let you stay active, relax and learn about healthy cooking. This destination spa offers all-inclusive specials with daily activities, workshops, accommodations and meals included in the cost of the stay. Caribbean resorts offer off-season summer deals in July, which may include free nights, spa discounts and flight packages. The Ritz-Carlton, Grand Cayman offers the Ambassadors of the Environment by Jean-Michel Cousteau, a spa, golf and stylish guest rooms. July is a great time to reconnect with your partner by planning a romantic summer getaway. Post Ranch Inn offers incredible ocean views, romantic guest accommodations and a spa. The Lodge at CordeValle in Northern California features golf, a spa and spacious bungalows. A trip to the mountains means cool fresh mountain air and many outdoor activities. Visit Jackson Hole, Wyoming, a great starting point for exploring Grand Teton and Yellowstone National Parks.